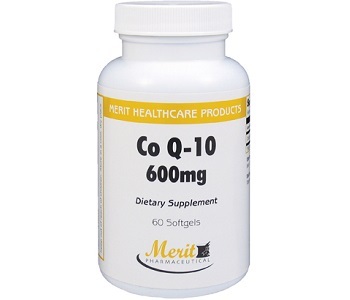 In this review for CoQ10 from Merit Pharmaceutical, we will discuss the merits and drawbacks associated with this dietary supplement. According to the manufacturer, this product may provide you with a wide variety of health benefits. Some of the most significant benefits of using this compound are that it helps to strengthen the coronary muscles and reduce the risk for cardiovascular disease. Additionally, studies have shown that continued use of this compound will help the cells in your body to produce energy more efficiently. This will provide you with a significant boost in your energy levels as well as your stamina. 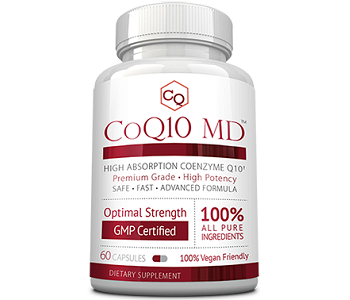 According to the information, we could find on the manufacturer’s website the only active ingredient that is included in this formula is Coenzyme Q-10. Other ingredients included in this supplement make up the softgel capsules shell; some of these ingredients include gelatin, vegetable glycerin, paprika color, titanium dioxide color, and purified water. When we first examined the ingredients included in this formula, we believed that it could be effective for improving the health of your heart. However, we are slightly concerned about the ingredients that were used to make the shell. There are a few unnecessary preservatives added and it is not suitable for vegans or vegetarians. The manufacturer recommends that adults should drink one capsule daily with your main meal of the day. Additionally, they recommended that you discontinue use if you notice any side effects from taking this supplement. We would suggest that individuals who are pregnant, nursing or already taking another medication should consult with their doctor before taking this supplement. You can buy this product directly from the manufacturer on their online store. Sadly, this product is currently out of stock on the manufacturer’s website and on a variety of other online health stores that we checked. Therefore, we are not able to give you an indication of the cost. We were unable to find any information on a satisfaction guarantee for this product. This indicates that the manufacturer does not guarantee results and is not entirely confident in their formulation. Companies who offer guarantees are sure that their products are effective. Thus, they are not afraid to refund people who are not entirely satisfied with their product. However, a guarantee might be available depending on which third-party seller you choose. Another concern that we had was that we could not find any consumer reviews to give us an indication of the popularity of this product. After we concluded our review of this dietary supplement, we found that it was a good product. The only active ingredient included in the formula is coenzyme Q10 and the manufacturer provides clear instructions that are easy to follow. However, there are a few things that we found concerning during our research. There are a few unnecessary ingredients included in the shell of the softgel capsule. This product is not suitable for individuals who eat a vegan or vegetarian diet. Additionally, this product is out of stock on the manufacturer’s website.